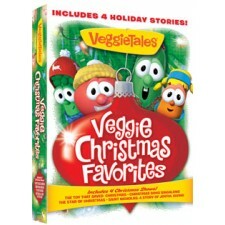 Family Christian has a great deal on the Veggie Tale Christmas DVD set at $9.99. Use the coupon code 127954117 to bring your total down to $7.49. The set includes Veggie Tales programs The Toy that Saved Christmas, The Star of Christmas, Saint Nicholas: A Story of Joyful Giving, and Christmas Sing-Along Songs. The DVD’s would run $54.96 if bought individually. Shipping is $3.48 making the total cost $10.97 for this awesome gift idea!